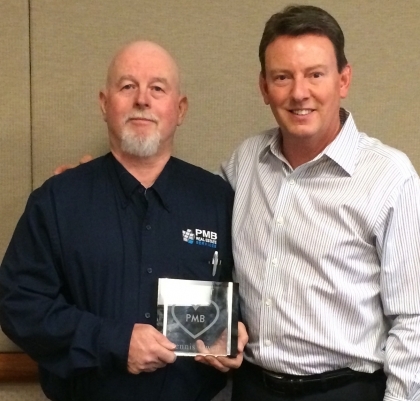 On March 26, at the 2014 PMB Real Estate Services Building Engineering Leadership Conference, Dennis Owen was presented with the â€œHeart of PMBâ€� Award. Dennis Owen is the Director of Building Services for the Reno, NV area. Dennis and his commitment to service embodies our culture of caring. Caring for our clients, their buildings, their practices, their patientsâ€¦..and each other. Thank you, Dennis. From everyone at PMB.